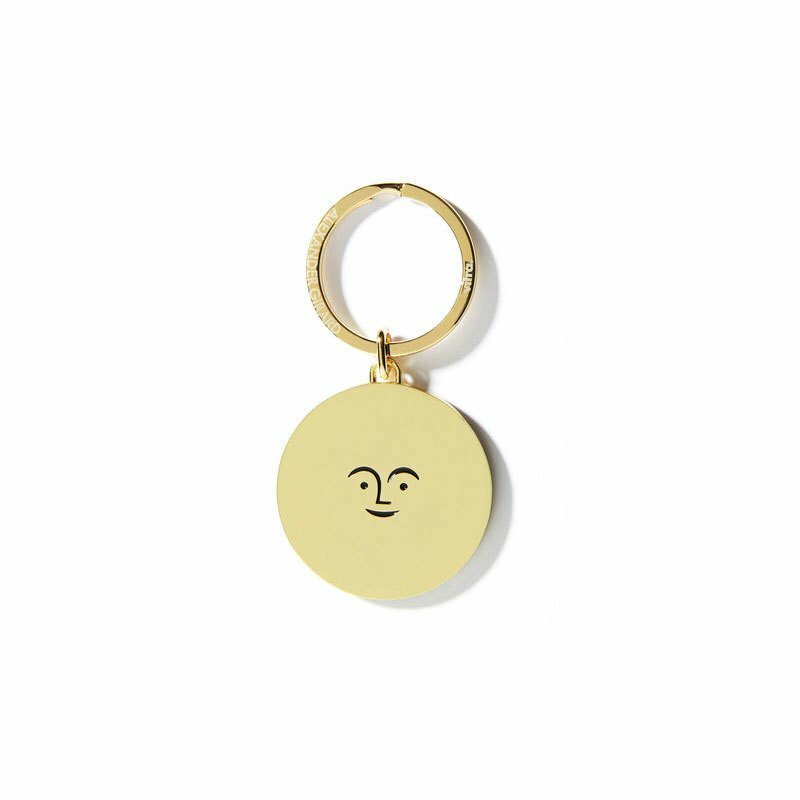 Playful key ring from Vitra. Brass finish. Enamel-painted smiling sun motif created by American mid-century designer, Alexander Girard. Standard key ring with engraved logos.